People with Parkinson’s disease may benefit from supplementation with N-acetyl cysteine (NAC), a powerful antioxidant that may also enable damaged dopaminergic neurons to recover some function. A new pilot study from Thomas Jefferson University showed that Parkinson’s patients who took NAC daily for three month showed significant improvements on clinical evaluations of mental and physical abilities, as well as beneficial changes on brain imaging studies that tracked levels of dopamine. The study, recently published on PLOS ONE, suggests that NAC has direct effects on the dopamine system in Parkinson’s patients. Daniel Monti and colleagues at TJU studied a small cohort of 23 Parkinson’s patients, all of whom were living independently, and already on standard drug therapies, which they continued throughout the course of the three-month trial. The patients were randomized into two groups, with the first group receiving a combination of oral NAC, 600mg twice daily, plus weekly intravenous infusions of NAC (50mg/kg). 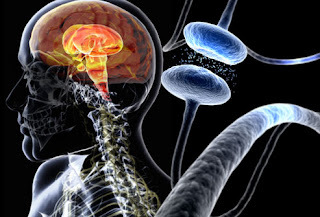 The second group received no NAC, but remained on standard Parkinson’s drug therapy. The researchers made comprehensive evaluations at baseline and again after three months, using standard clinical measures like the unified Parkinson’s Disease Rating Scale (UPDRS), and a DaTscan SPECT brain scan, to measure the amount of dopamine transporter in the basal ganglia. The data showed that NAC exerted a consistent, protective effect. Compared to the controls, the patients that received the oral/intravenous NAC had improvements of 4-9% in dopamine transporter binding in the caudate and putamen regions of the brain (p<0.05 for all values), and 13% improvements in their UPDRS scores (p= 0.01). The mean UPDRS score dropped from 25.6 to 22.3 in the NAC-treated group. The authors note “a significant correlation between the change in UPDRS scores and the change in dopamine transporter binding in the caudate and putamen.” They also point out a significant change in midbrain serotonin transporter binding in the NAC group, though not in the control cohort. There is a growing body of data suggesting that oxidative stress is an important factor in the pathophysiology of Parkinson’s. Brain tissue samples from people with the disease show evidence of increased in lipid peroxidation, protein oxidation, and DNA oxidation. Further, Parkinson’s’ brains tend to show decreased levels of glutathione, arguably the body’s most important antioxidant. The degree of neuronal glutathione depletion tracks closely with the severity of disease symptoms, and is the earliest known indicator of nigral degeneration. Dr. Monti’s current clinical study was based on earlier cell culture work showing that NAC can prevent oxidative damage and neuronal cell death in vitro. A series of rodent studies suggested that NAC could increase glutathione levels, neutralize hydrogen peroxide radicals as well as toxic dopamine-related quinones, and prevent neuronal death. Acknowledging the limitations inherent in a non-blinded pilot trial involving a small number of patients, the authors none the less believe that “NAC might positively impact dopamine function and potentially, clinical symptoms.” They contend that this subject is worthy of a large, randomized, blinded study. Toxins are everywhere in our environments these days, and oxidative stress is widely prevalent. A high burden of toxins can directly damage cells down to the mitochondria. Oxidative stress can lower immunity, increasing the vulnerability to autoimmunity, cancer, preventing weight loss and blood sugar issues. It is increasingly obvious that toxins and oxidative stress play a role in the etiology of most common chronic diseases including insulin resistance and diabetes, heart disease, and strokes. Gut inflammation, leading to leaky gut, only amplifies the problem. With so much at stake, we as clinicians need to pay much more attention to oxidative stress and toxin burdens in the patients we serve. Fortunately, we have some good nutraceutical tools, in the form of glutathione and NAC. Glutathione is found in every cell of the body but has its highest concentration in the liver. Glutathione helps to mop up heavy metals, free radicals, and just about anything that can damage cells. Glutathione also helps with DNA protection, mitochondrial and immune support, protects against heart disease, cancer, dementia and other chronic illnesses. Most diseases involve a glutathione deficiency leading to DNA damage and unhealthy cells. NAC is a precursor to glutathione, and supplementation can restore intracellular levels of glutathione. As this new study suggests, it may also help to reduce oxidative damage in the brain, by increasing neuronal glutathione. To optimize detoxification and improve our immune systems, we can help our bodies make glutathione simply by eating plenty of garlic, onions, cilantro, and cruciferous veggies like broccoli, kale, cauliflower and cabbage. For those with a high toxic load, and—as the Monti paper suggests, for those at risk of Parkinson’s’—NAC supplementation makes good sense. The world around us can be a scary place. It seems our bodies are being bombarded in all directions with pesticides, heavy metals, pharmaceutical metabolites, estrogen-mimicking compounds, radiation, and other toxins. All the research on glutathione and NAC suggest that these supplements can optimize our detoxification capacities, reducing the overall negative effects of oxidative stress, and improving our resilience. Rather than putting up fences, let’s protect ourselves from a toxic environment with love, friendships, and “superhero” antioxidants like glutathione and NAC!